Heartwarming adventure game My Brother Rabbit has been scheduled to launch in Fall 2018 on Nintendo Switch. 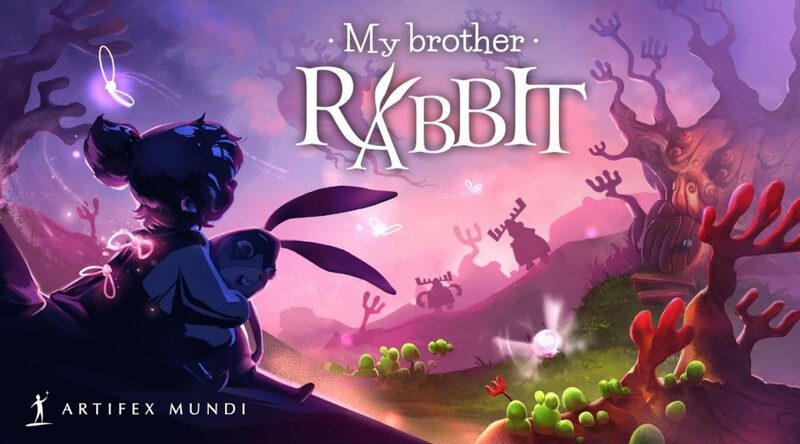 Developed by Artifex Mundi, the creator invites players on an emotional trip into the dreamlands of imagination. A picture-perfect, loving family discovers that their daughter has fallen ill. While her parents set out to get her the treatment she needs, her determined older brother turns to the power of imagination to help both of them cope. While the outside world offers tragedy, these pure children envision a fantastic, surreal world that provides the innocent fun they deserve. In this magnificent land of make-believe, a cute little rabbit living underground wants to nurse his ill friend, a flower, back to health however he can. To do so, he must use his wits to decipher puzzles inspired by classic point and clicks, uncover hidden objects, and play minigames to continue his adventure. Calmly and casually collect hidden butterflies, balloons, and other items before solving intriguing enigmas. Devoted to this unusual journey, the innocent children continue to conjure up this increasingly curious land, incorporating components of the bleak real realm. The gorgeously odd painted vistas introduce off-putting tones the closer Toy Rabbit gets to helping the Flower. Visions of reality in the hospital creep through, but the children’s realm of escapism is always inviting. As children are wont to do, their creative minds find more and more reasons to be hopeful despite the adversity they face. Renowned indie composer Arkadiusz Reikowski of Layers of Fear and Seven: The Days Long Gone fame has penned a score that soars around this strange scene. The wondrous sights and sounds make gorgeous, hand-painted My Brother Rabbit’s dream logic come together and invites players to rekindle the flames of their imagination.